We are available with brass lock handles that are engineered to perfection and are high in performance and low on maintenance. Our exclusive gamut is in high demand in the domestic market as well as the foreign front and we carry out total safe packaging of these brass lock handles assuring that the quality of our range is not hampered during the transit process. 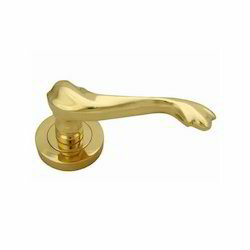 Available Size in Inch: 3",4",5",6",7",8",10",12",15",18",24",36",48"
We offer quality Brass Door Fitting Handles that are available in different polishes such as polished brass, chrome and other finish as required by the clients. These are appreciated for features such as durable, finely polished, have perfect finish and are corrosion resistance. We offer these in standard and customized options as per the requirements of our clients. Price Range: Rs 260- 750 Per Piece. 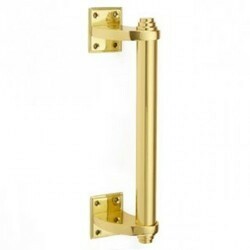 We are one of the reputed manufacturers of premium quality Brass Door Handles - ASI 1300.